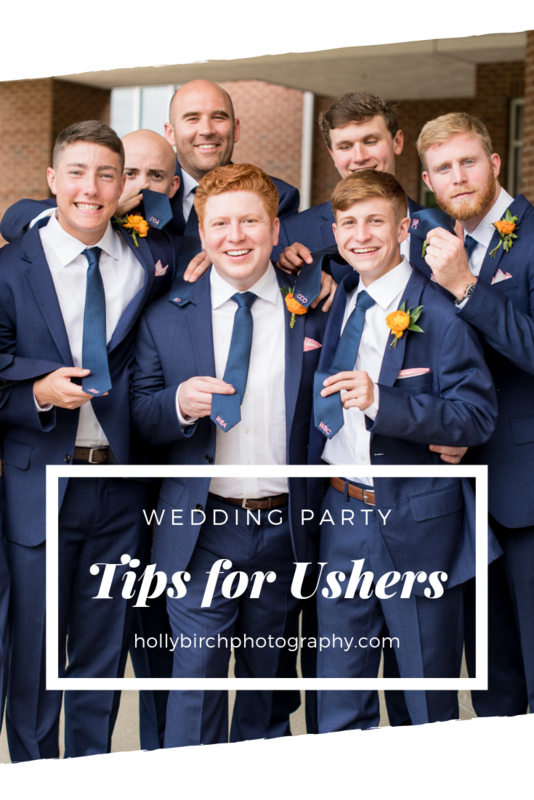 This seems like a given, but I have seen my share of ushers that stand around at the back of the church like a deer in the headlights.The goal of each of the vendors, the venue, and the couple is to get this party started on time, and you can be a hugely helpful part of that by seating people in a timely manner (avoid having people stand around in the foyer or vestibule), and close the guestbook and/or sanctuary doors at the exact time that the ceremony is to start.You can remind people that there will be plenty of time to sign the guestbook at the reception, and that is important that we get started on time.Thank them for coming and then ask them to kindly take their seats.Easy peasy!You’re done! For more tips, here's a fantastic blog post on the Art of Manliness on being an usher. If you are ever unsure of your duties, definitely ask to be sure that you are doing everything expected of you. Now go do your thing, usher!